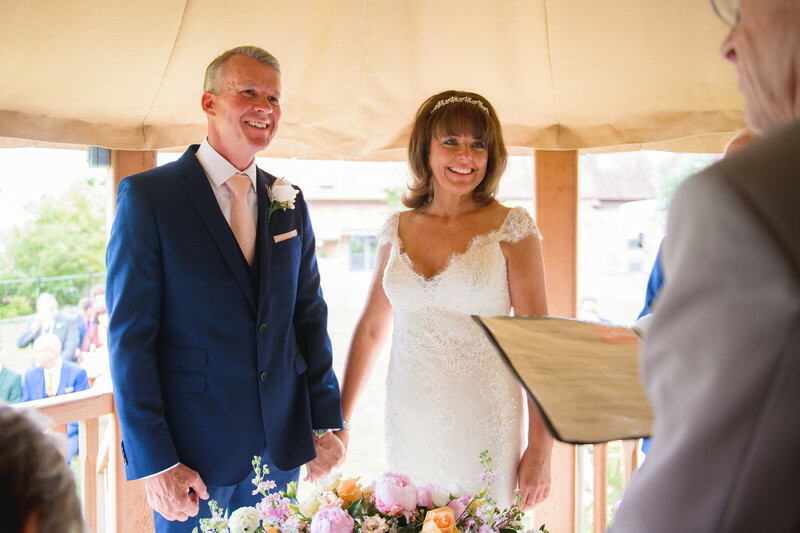 Debbie and Keith got married at Deer Park Hall in Worcestershire, which is one of my favourite wedding venues and one that I have been a recommended photographer at for over 6 years. Debbie and Keith opted for an outdoor ceremony, which was rather exciting as the venue hadn't been holding outdoor ceremonies long as I photographed one of their first! The weather was perfect, with sunlight beaming down. As the bride and groom were stood in what a photographer would call 'open shade' the light on them was both bright and very soft - this is the kind of light photographers aim for in a studio! Debbie made her entrance across Lambs Leap Lawn, walking between two vintage milk churns that were filled perfectly with stunning flowers. 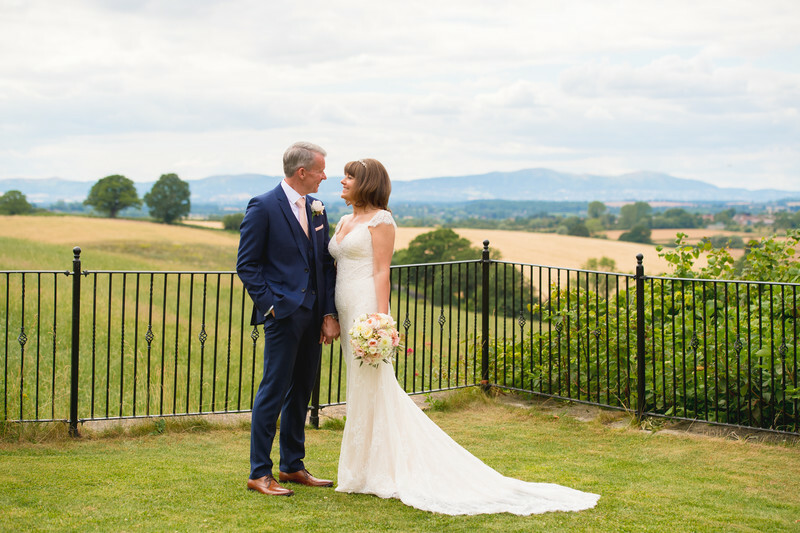 To either side of the grassy aisle, their friends and families sat on wooden chairs offering them the perfect view not only of the wedding ceremony, but out over the Worcestershire countryside too. The main photo above is one of my favourites from Debbie and Keith's Deer Park wedding. 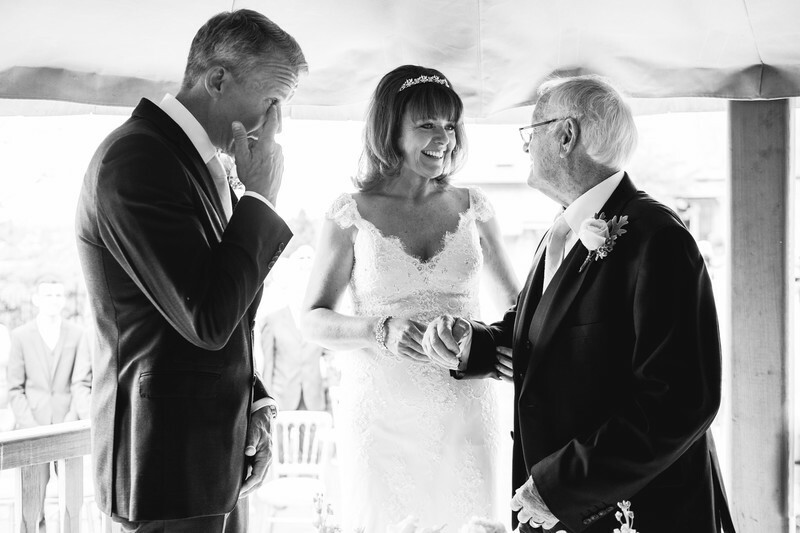 David, the registrar had just spoken the words 'I therefore proclaim that you are husband and wife...' (traditionally followed by "you may now kiss the bride!") and just look at their reaction to this - they look so happy, and their smiles were beaming. After the wedding when the chairs had been cleared, Deer Park and Lambs Leap Lawn once again provided the perfect place for some stunning formal wedding photos - you can see the view I was talking about earlier in the background too.